T.E.W Industry Co., Ltd. was found in 1982 and specialized in ODM various brads, special staples, industrial staples, gun nails, air-tacker, wire staplers, and nails. 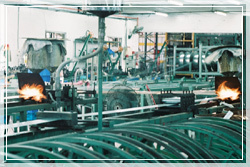 Presently, the varieties of our standard sizes are over 300 kinds and are widely used by shoes manufacturing, packaging, cable anchoring (fixing), cable anchoring with insulation and so on. 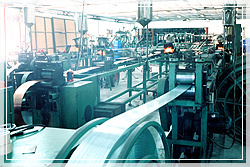 Possessing top-precise facilities and machines make our quality are always in the leader position among professions. We value every client's comments because they are the important bases which we can develop and research the new specifications constantly. 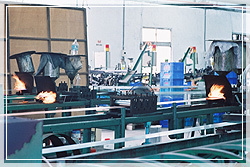 In addition, providing punctual delivery time and good service make us gaining high reputation in the field of fasteners. Currently, our products have been exporting to Europe, USA, Middle-East, Asia and South America. The teamwork of our technical engineers and staffs are also proud of us. With their superior ability, they have already ODM and customized many different sizes such as the brads and staples from some of the famous seller in foreign market. Pasload and ACE hardware are two of representative examples because their staples and brads are OEM by TEW industry Co., Ltd. 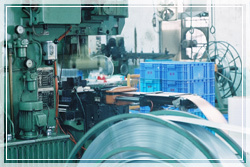 The success of any industrial organization corresponds to its abilities to meet the need of the consumer on a consistent and continuing basis. T.E.W Industrial Co., Ltd. . is an outstanding example of this. Through our consistent efforts on developing series of products which meet consumer wants and needs, T.E.W Industrial today holds a position of leadership in field surrounded by so many strong competitors. KAOHSIUNG CITY, 804 TAIWAN R.O.C.